Join Lesa Snider, author of Photoshop CS6: The Missing Manual for a hands-on webcast that's ideal for anyone who wants to learn how to retouch images safely and realistically, in the most efficient way possible. It's also great for experienced Photoshop users who'd like to learn the latest and greatest techniques. 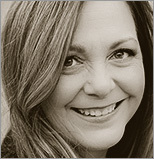 Lesa Snider, internationally acclaimed author and speaker, is on a mission to teach the world to create better graphics. She's a stock photographer and chief evangelist for iStockphoto.com, and founder of the creative tutorial site PhotoLesa.com. Lesa is the author of several books including Photoshop CS6: The Missing Manual, Photoshop CS5: The Missing Manual, and coathor of iPhoto 11: The Missing Manual, as well as several videos training titles on Photoshop, Photoshop Elements, Camera Raw, and iPhoto. She writes a regular column for Photoshop User, Elements Techniques, and Macworld magazines, and contributes frequently to DesignToolsMonthly.com. Lesa is also a long-time member of the Photoshop World Dream Team of instructors and the Advanced Photoshop professor for Sessions.edu. She can be spotted teaching at conferences several conferences around the globe. During free time, you'll find her carving the twisties on her sportbike or hanging with fellow Apple Mac enthusiasts. Lesa is a proud member of the BMWMOA, F800 Riders Club, CoMUG and NCMUG.